We are living in turbulent times. Our planet is burning, people are enslaved for the clothes on our backs and the food in our bellies, animals are slaughtered for our overconsumption while being housed in horrific conditions, and wars have degenerated into immeasurable human atrocities seemingly for the engagement, or perhaps entertainment, of our 24-hour news cycle. It can be easy to explain everything for our own insular self-affirming self-righteousness, reject those who don’t think like us, and surround ourselves in the comfort of isolationism; however, this is the opposite of what we need to confront these issues. I am a United States Citizen who grew up in a military family. We lived in communities around the United States and abroad. Over seven years ago I became a Canadian immigrant through my marriage. I am privileged – white, middle-class, able-bodied, straight, healthy, late 30s, well-travelled and well-educated. I recognize what this privilege affords me on a daily basis as I move through the world, traveling to different places and meeting and working with people. This privilege has kept me safely in a bubble of like-minded souls for way too long. However, comfortable and safe will not stand against the multitude of injustices in the world. What we require is activism. We need those courageous enough to march, picket, boycott, and protest. We need the leaders in politics and our corporate world to openly and firmly reject policies and programs that suppress, exclude and destroy. These leaders must openly support those that flourish in the name of inclusion and creation. As a yoga practitioner, I sometimes get frustrated when I hear the “we are all one” and “go within” as the mantras for our time, as though they are a soothing salve for the tragedies that befall us on a daily basis. Yes, these are true and heartfelt sayings and they can make a difference in our internal mental states; however, the yamas and niyamas, the true foundations of our practice, ask us to work from a much more active and radical place. They ask us to seek non-violence in all we do – toward all living beings, including ourselves. They ask us to be truthful and to not cheat, steal, or covet. There are aspects of contentment – to truly value what we have in opposition to overconsumption. To be disciplined – especially when faced with situations, groups, or individuals that take us away form our truth. Most importantly, these foundations ask us to be students of ourselves. In my mind, this immediately invokes the phrase “history is doomed to repeat itself” when in reality, it doesn’t have to. Self-study means we take time to examine our habits and patterns, to see what works for the benefit of ourselves and for the benefit of our fellow humans. It also works on a community-consciousness level. When we see people acting in recognition of previous damaging habits, patterns, and systems that caused pain and suffering, there is a shift toward another and much more beneficial way of behaving, do-ing, and be-ing in this world. This is what I am hopeful for during these challenging times. That there are enough of us on and off the mat, who work with consideration of these powerful foundations. That the yamas and niyamas can serve as the grounding pieces so needed during a time of great upheaval. They can be the motivating forces behind compassionate, but forceful, action against destructive forces all around us. This Friday, a new leader is taking the oath of office to become the 45th President of the United States. I am personally devastated by the outcome of this election and I am terrified for what the next four years mean for our planet and people around the world. At the same time, I am buoyed by the spirit of hope and change that continuously pervades in political, economic, and social landscapes. Movements like Black Lives Matter, Standing Rock, and the Women’s March on Washington all serve to remind us that while we could stand silent, we can also be positive forces for good in this world. In addition to these macro-movements, we must also take it upon ourselves to invest in the micro-movements of our daily lives – to have conversations with those we don’t agree with; to give money, time, and energy at local levels; to support those who need love; and to show compassion for ourselves, others, and this beautiful Earth. We are merely passing travellers in this lifetime – stewards of our land, environment, and institutes. It can be easy to pretend that our personal lives won’t make much of a difference. I am here to tell you they can. So, choose to speak out. Choose to be brave. Choose to reach out. Choose to stand with others. Choose to be active in any way you can and that feels right for you, and pushes your personal comfort zone. This world needs you, Brave Soul. Now more than ever. I am a reformed perfectionist. Yoga helped me get there. I used to worry incessantly about the details. I would get wrapped up in ensuring the final product or event or…anything, was done to my exacting standards. At the time, I didn’t understand the impact my perfectionist tendencies were having both on myself and on others in my life. In regards to myself, insomnia was a constant companion. In fact, in my quest for perfection in college, I exhausted myself to the point where, one frosty winter morning following my 4 AM – 6 AM on-air shift at our college radio station, I returned to my dorm room and collapsed halfway into my space and halfway into the hallway. Needless to say, some of the other residents on my floor were wondering what was up with the girl laying on the floor snoring! I would rehearse dance pieces over and over again, never feeling as though I really put forward a performance that met my personal expectation. I abused myself with food and my inner monologue, constantly pushing myself further and further until one day in my early 20s, I became so ill, I literally could not walk and instead dragged myself across my apartment floor…which is where my roommate found me and immediately demanded that I go into therapy (note: I did just that and am forever grateful to my friend who used some tough love in the moment I needed it the most). As for others, my friends and family watched from the sidelines as I demanded more and more from my body, soul, and mind. In turn, I demanded more from them as well – although I wasn’t aware of it at the time. In order to not send me into a fluster, they entertained my exacting standards for everything in life. I remember setting up for a party I was hosting in my space one summer. My now-husband had never, up until that point, experienced my need to ensure everything was perfect for the impending arrival of guests and stood in wonder (and, without doubt, some annoyance) at the agitated flurry I was making when re-arranging the way he set up the plates and silverware on the table (note: I am grateful he chose to stick with me after witnessing my perfectionist edge…he’s been a witness to this journey of letting go). My need for perfection lessened, but still persisted, with the help of therapy and self-reflection. I didn’t want to live in the space of demand constantly. It was becoming more and more exhausting keeping up with the demands I kept putting in front of myself. There was one place of respite…my yoga mat. There, anything and everything could happen. Toppled over in a pose? No problem…just try again! Unable to get your leg behind your head? Meh, who cares?! Handstands freaking you out? No need to push myself into something my body and system aren’t ready for. My release of perfection has been slow, but yoga has been instrumental in showing me that the perfection I sought was simply an illusion and, more importantly, a distraction. If I could wrap myself in the cloak of striving for perfection, I could avoid the harder work of changing what made me unhappy. I could avoid the tough conversations. I could subvert my anxiety and self-consciousness by distracting myself with the hard work being a perfectionist entails. I could avoid…myself. When I meditate and am fully embodied in the present moment, there is nothing else to consider, nothing else to do, no striving, no working toward something. There is only what is. Once we realize that every moment on the mat is this series of “nothing else to consider, nothing else to do, no striving, no working toward something” we are suddenly free to experience everything and realize that the perfect is right here with us RIGHT NOW. I’ll admit that I get frustrated when I hear people talking about yoga as though it is a series of goals to be accomplished. As if there is some end game to our practice once we achieve a posture. In reality, there is beauty in the never-ending process that our practice provides because it has the ability to teach us about our divinity and the perfect that exists in us just as we are – regardless of if we ever do full Hanumanasana (Monkey Pose – splits), or not. It is the perfection in every moment of getting there…the beauty of BEing in that process…that is really what our practice can be about celebrating. Celebrate your perfection, just as you are. Celebrate the perfection in others, just as they are. There is nothing else we need to do in that regard. When honouring our perfection in this very moment, we (and those around us) are suddenly free of expectation, free of the to-do list, and free of the disappointment that comes with striving for something that can never be attained (because it never existed in the first place). You might even fall in love with your “perfectly-not-perfect” self. 1. I wash my hands or take a shower. The act of cleansing with water can be powerful! When I am either washing my hands or taking a shower, I say a little mantra to myself – “Only good energy is welcome here.” This act of washing with water is a little ritual that enables me to take some time for myself, nature myself, and the mantra helps me to focus on what is happening in my system…as opposed to fixating on what is happening around. 2. Holding or gazing into a clear quartz stone. I have a small one that I will sometimes carry with me. They carry a high vibrational energy and I will simply hold it in my hands or gaze into it. These crystals are typically associated with healing and the higher chakra systems in the body including throat, third eye, and crown chakras. 3. Lighting candles, smudging with sage, or clapping/drumming. We can clear the energy of our space and body using different tools. Lighting clear-burning candles can immediately bring a cleansing energy to a space. Fire is associated with “burning out” of the old and negative energies that no longer serve us. We can offer up what we no longer want into the flame either verbally, or by burning words that we’ve written on paper. Smudging a space with sage can be helpful in cleaning out toxic energy from the space and inviting in good energy. You can also smudge yourself! When I go to a hotel room or enter a new space, I can sometimes feel residual energy from whoever was there before me. If I don’t have candles or sage, I will go around the room clapping or reciting mantras. Drumming can be a powerful way to clear out energy as well. 4. Mantras. One way to remove blockages or obstacles is to recite mantras. You can come up with a saying that is all yours, or use one created by someone else. The mantra for Ganesha, “Om Gam Ganapataye Namaha” is a particularly useful one when removing barriers. Another is a mantra for Kali, which can be used for awakening and purification. The mantra is “Krim” [“kreem”]. As with any mantra, use these with care as they are incredibly powerful. I recommend repeating them 108 times and then sitting in stillness, allowing the vibration of the mantra to reverberate through your body and the space. 5. I meditate or just sit quietly without distraction. One of the easiest ways to centre and ground, especially when we are feeling overwhelmed, is to simply sit in silence. Allow yourself to become fully present with yourself. These meditation moments can be simple – even meditating for one minute can have a profound impact on your nervous system! Embrace your sensitivity…know you can manage it. Remember that this enhanced awareness is a gift that allows you to tune into others, but even more importantly, allows you to tune into yourself! I perceive the practice of yoga to happen both on and off the mat. Everything I practice in stillness, movement, observation, manifestation, and letting go on my rectangle of rubber, I also put into practice in my daily life – or at least that is the goal. These eight limbs enable us to grow our practice in a way that builds upon each step. As we can see, the physical practice is only one small part of how we practice yoga. It is also a way for us to prepare our bodies for everything that follows including breath control and meditation. This also applies to the relationships we have in our lives – with others and with ourselves. When we take the time to observe how we relate to the word through the five Yamas: non-violence, telling the truth, non-stealing, refrain from excess, and non-coveting, we are preparing ourselves for what it takes to develop meaningful relationships. It pays not to treat others with violence. My friends and family want me to be truthful with them. I want to be truthful with myself. This leads to the practice of the Niyamas. In this limb, we find the “values” of cleanliness, happiness/contentment, the development of consistent patterns to develop heat, study of self, and the overarching belief that there is something bigger than us (spirit, God, Gaia…). The Niyamas can help us in relationships in allowing others to just be. To just be content with where things are, to know that it takes effort to maintain good relationships, to understand that there is something larger that connects all of us and that we are part of a larger fabric. As in yoga, the Asana, or physical practice, is a small piece of the puzzle! So it goes with relationships. While it is always nice to be physically present with those we love, it is our ability to move beyond the physical that defines the depth of our most precious partnerships. I love being able to hug my friends or hold the hand of my husband, but I know that my relationships persist because we go deeper than the physical. The next four limbs – Panayama, Pratyahara, Dharana, and Dhyana – for me all embody a sense of intention and mindfulness. Relationships do well when we tend to them, just like a garden requires consistent care. By remaining focused when in the presence of someone else – free of all other distraction (including your cell phone!) can bring about a state of full awareness when in connection with another. Think about those times when your friends or loved ones have truly listened to you with their whole heart. It feels incredible! By observing our behaviours within our relationships, we engage in the self-study required to understand what it takes to be our best self in conjunction with another. Last but not least…the bliss state! Those times where you are feeling truly valued, loved, connected, and appreciated by others. These moments are precious…when we are in full alignment with who we are in the presence of a loved one. Even more so, when we can allow that person to be in full alignment in who they are with us! To me, this speaks to vulnerability and letting go of expectation. That we can be truly one with those we love…just as they are. What do you feel about the eight limbs in relationships? Physical Body. Pay attention to your physical being. What feels awesome, what doesn’t? Are you feeling like you need to stretch or strengthen? Does your body want something slower or faster? Tune into how the air feels on your skin, the way your clothes lie against your body, and where you are making contact with the chair or floor. Our physical bodies can tell us a lot about what will serve us best in any given moment. Mental Body. What’s going on inside that head of yours? Are your thoughts racing or are they calm? Are you thinking ten steps ahead or behind? Can you focus easily or are you finding that to be a challenge? By simply cultivating awareness of where our thoughts are, we can develop our ability to weed out those thoughts that aren’t serving us or are distracting us from the task at hand. While some of us may think we rock at multi-tasking, when it comes to checking in, allow yourself the freedom to step into the present moment. Emotional Body. Simply ask yourself, “How am I feeling?” We don’t have to have an explanation for our emotions, nor do we need to root around and find a solution. Allow yourself to feel just what it is you are experiencing – joy, anger, sadness, indifference. All emotions are valid and when we step back from judging our emotions, we give ourselves the gift of validation. Energetic Body. Part of this can be seen as “What is my energy level today?” but it is more about that subtler, energetic side of your being. Are you tuning into other people’s energy? Are you able to ground yourself? Are you feeling connected to the earth or are you flying high in the clouds? By feeling into our energetic state, we are tapping into a deeper level of experience that goes beyond the physical, mental, and emotional. Not sure where to start? Just allow yourself to sit or lie in a comfortable position and begin to breathe slow, deep breaths. Is that hard or easy? Are you able to sense the undercurrent that is riding just below your emotional self? Is your energy agitated or calm? Is it aggressive or passive? There is no wrong or right (and no judgement! ), it is just about sensing where you are in the moment. Spiritual Body. Are you feeling connected to the greater whole? We are not alone in this world and when we expand our consciousness to the recognition that we are one part of many, it can lift us up! For some, included in this is their connection to a higher power or energy. When we have this feeling of connection, it can bring about a sense of calm as we begin to realize that everything we do has a ripple effect on others and on our planet. This recognition can be incredibly empowering as we strive to ensure a more positive and loving outlook in all we think, do, and voice. So, the next time you step onto to your mat, or wake up, or are heading to bed (or anytime, really! ), I encourage you to take a few moments to check in. Just completing these five steps can make a world of difference! Love, light, and peace to you all! Another new moon is upon us. While some people may scoff at astrology and meaning in the stars, others use the movement of the planets and other celestial bodies for guidance. Whichever side of the coin you fall on, there is no doubt that we can always look above us for inspiration as we gaze at the sun, moon, stars and planets above! New moons have been seen as times to set intentions. They are nights of darkness when moonlight fails to illuminate the sky and earth below. As a result, this darkness calls for a looking inward. When we take the time to sit quietly and reflect, it gives us a chance to nourish, tune in, and ponder those things we want to manifest in our lives. There are many ways to do this – meditation, writing, singing, lighting a candle in honour of your dreams. The sky is the limit in terms of how you can put intentions out into the universe. In Bali, I’ve participated in everything from nourishing Yin practices, fire ceremonies, candle ceremonies, and group journalling sessions during full moons. Each experience allowed me to really think – not just in passing – about how I am living my life, what I want to change, and how I want to change it. They’ve allowed me to dream and think big about all that is possible, without limitation. If you choose to celebrate the New Moon, you can create a little ritual or ceremony for yourself that speaks to your heart! If you love painting, but dislike writing – paint your intention! If sitting in a bubble bath is where you come up with your best ideas, light some candles, immerse yourself in warm water, and allow your thoughts to linger in your dreams. If you are like me, and meditation is your jam, put out a focused effort to meditate on what you want to manifest in your life. As with everything, these experiences should be practiced with pure gratitude. Gratitude for the time to reflect, gratitude for this Earth that keeps on spinning and supporting us, and gratitude for all that you have accomplished up to this point. We never get to where we are alone and it is important to think about this when putting our intentions out there. 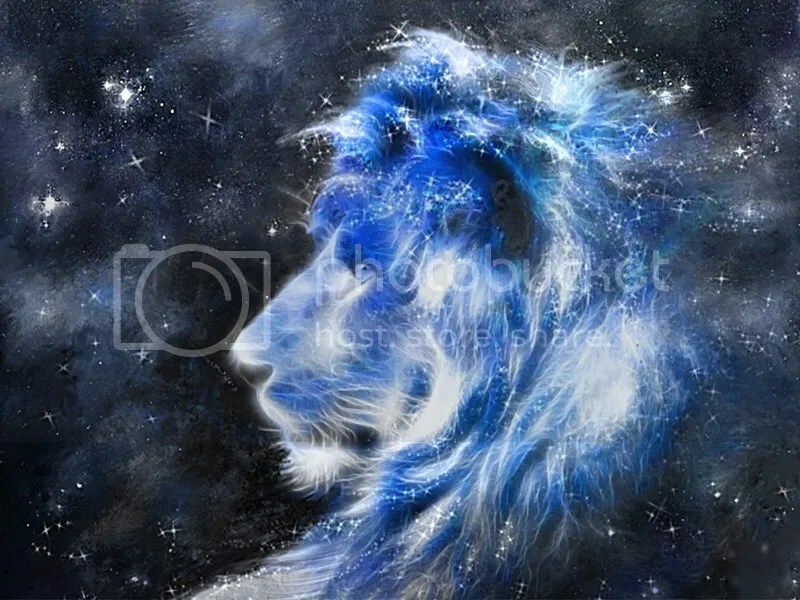 A new moon in Leo is all about lighting our inner spark. To dream boldy and think strategically about things we want to make happen in our lives! In other words, think BIG! Think OUT THERE! Think about all of those things you never thought were possible in your lifetime and consider them attainable!